Huh? Low-salt diet ups risk of fatal heart attack? People with hypertension still benefit from a low-salt diet. 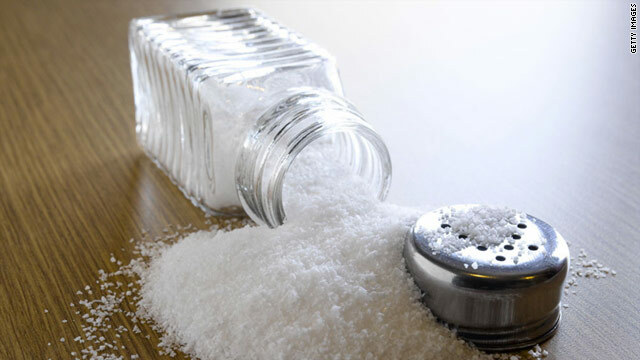 (Health.com) -- Doctors and public health officials have been telling us for years that eating too much sodium can increase the risk of heart attack or stroke by raising blood pressure to unsafe levels. So how to explain a new study that suggests low salt intake actually increases the risk of dying from those causes? The study, which followed 3,681 healthy European men and women age 60 or younger for about eight years, also found that above-average sodium intake did not appear to up the risk of developing high blood pressure (hypertension) or dying of a heart attack or stroke. The findings, reported in the May 4 issue of the Journal of the American Medical Association, certainly seem counterintuitive, especially in light of the ongoing public-health campaign to lower sodium consumption across the U.S. by urging restaurants and food manufacturers to curtail their use of the ingredient. In fact, says Jan A. Staessen, M.D., the senior author of the study and the head of the hypertension laboratory at the University of Leuven, in Belgium, the findings "do not support the current recommendations of a generalized and indiscriminate reduction of [sodium] intake at the population level." Salt lovers shouldn't break out their shakers just yet, though. A closer look at the findings shows that they're not as out of line with the low-sodium mantra as they might seem. For starters, the participants' sodium consumption was gauged by measuring the sodium content of their urine over just one 24-hour period at the beginning of the study. Although this method is considered the gold standard for estimating sodium intake, that lone urine test may not provide an accurate snapshot of the participants' everyday intake over the full eight-year study, as the researchers themselves note. Even more important, the participants had blood pressure in the normal range at the beginning of the study and were white, relatively young, and slimmer on average than the typical American. Past research has shown, however, that people with hypertension, blacks, older people, and heavier people tend to react more negatively to sodium. "Maybe it would be better to pinpoint specific subgroups," says Jerome Fleg, M.D., a medical officer in the division of cardiovascular sciences at the National Heart, Lung and Blood Institute, in Bethesda, Maryland. "This is probably not the group that would get the biggest bang for the buck in terms of restricting sodium intake." Staessen and his colleagues divided the study participants into thirds according to their estimated sodium intake. Although higher salt intake was not linked to an increased risk of hypertension, it was associated with very small increases in systolic blood pressure (the top number). Slightly more than 6 percent of the participants had a heart attack, stroke, or other cardiovascular emergency during the study, roughly one-third of which were fatal. Those who consumed the least salt had a 56 percent higher risk of death from a heart attack or stroke compared with those who had the highest consumption, even after controlling for obesity, cholesterol, smoking, diabetes, and other risk factors. The researchers don't have a firm explanation for this finding, but they speculate that sodium intake low enough to decrease blood pressure may also decrease sensitivity to insulin, encourage a stress response in the nervous system, and affect hormones that regulate blood pressure and sodium absorption. "Each of these effects might have unfavorable impact on cardiovascular mortality," Staessen says. He and his coauthors emphasize, however, that people with hypertension -- who were not included in the study -- will still benefit from a low-salt diet. Most Americans consume more sodium per day than is considered healthy. Federal guidelines recommend limiting consumption to 2,300 milligrams per day, or 1,500 milligrams for blacks and people with hypertension. Some health organizations have been lobbying the federal government to drop the goal for everyone to 1,500 milligrams a day, Fleg says. Despite the study's shortcomings, the findings do suggest that sodium guidelines should perhaps take into account differences among individuals, says Randal Thomas, M.D., a preventive cardiologist at the Mayo Clinic, in Rochester, Minnesota. "We know that not everybody is as sensitive to sodium in their diet as others. Even among people with high blood pressure, no more than half are probably sodium sensitive, and in the general population, it's probably less than 10 percent," Thomas says. "In setting up a public policy, it's important to recognize the need to have a policy that doesn't punish the majority for the benefit of the minority."